New for 2019, the Solid Spruce Top Striped Ebony Series comes in concert, tenor, and baritone models, the baritone model comes with a venetian cutaway and Fishman® Kula preamp. Spruce is known for its clarity, and dynamic range and response while ebony provides strong bass presence and responsive highs for a well-rounded sound profile. 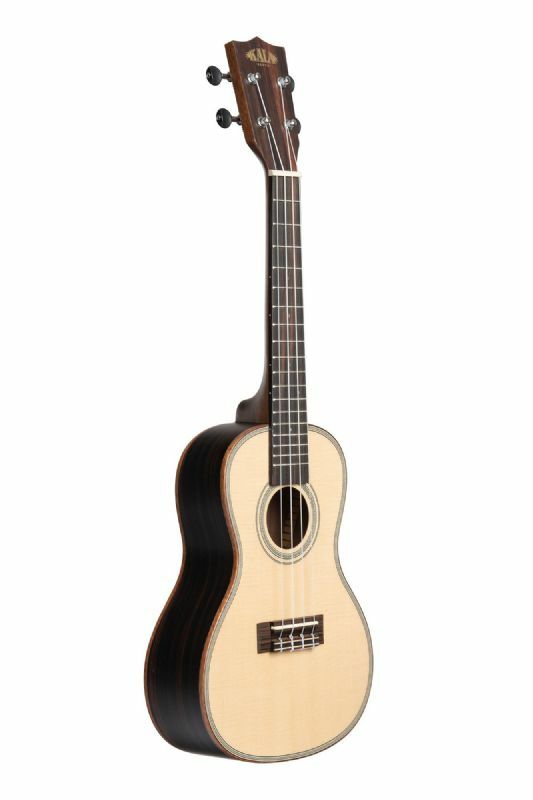 Available in concert, tenor, and baritone models, baritone available with a cutaway and electronics.